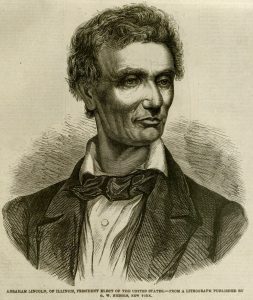 Portrait of President Lincoln who would later serve during the Civil War and would sign the Emancipation Proclamation. The Illustrated London News, 8 December 1860. Courtesy of University of Missouri Libraries.